This entry was posted in Gabe Smith and tagged alan lomax, Big Bill Broonzy, Big Bill Broonzy, blues, Chicago, Chicago Defender, Muddy Waters, Rock by smithg. Bookmark the permalink. Great job bringing to life a performer that we didn’t get to talk about! I especially appreciate your many links to outside sources of information–readers can connect to other sources easily (Radiolab is awesome). I wondered about this–why would he be taken seriously by white audiences? Would audiences listen to his music casually? Would musicians try to emulate his style? Nice work here, G! I wish we had had time to talk about Muddy Waters in class, but given that we didn’t, I’m glad you talked about his career here. 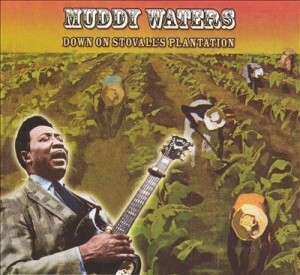 As you note in your title, more than Big Bill Broonzy, more than Robert Johnson, Muddy Waters helped link Delta blues and what we now think of as “Rock” (in fact, his British tours were extremely influential in the formation of blues revival bands there like the Beatles, Cream, the Rolling Stones, and Led Zeppelin). You cited Cultural Equity, which is Alan Lomax’s website (or I guess the website of his estate now). I don’t doubt the information you found in the article on Big Bill Broonzy, but in the future you might consider mentioning in your own prose that you’re relying on a website (or book or CD liner notes or whatever) of a figure with a particular stake in the history that figure is writing. Often just writing “According to an article on Cultural Equity, a website Alan Lomax created, …” is enough to tell your reader that they should be healthily skeptical of what they’re about to read. I also wonder what you think of that album cover you shared: Muddy Waters holding an electric guitar, superimposed on a painting of field hands working the soil . . . that’s quite a juxtaposition, don’t you think?